News : Debtocracy: how much of the Greek national debt is illegitimate? If you are not familiar with the term 'odious debt' then I would recommend for you to watch the Debtocracy documentary film. The first part of the film gives a general introduction to the credit-driven global economy and the accumulation of Greek debt. Things get more interesting at approx 33:00 when the concept of odious debt is introduced, followed by examples of how countries like Equador have been able to write down most of their national debt. The story of why and how the film was made highlights some of the problems we are facing right now in Europe regarding democratic decision-making about financial issues. Some time ago journalists Katerina Kitidi & Aris Chatzistefanou posted a short video on Youtube which explained how Equador was able to eliminate most of its debt since it was based on illegitimate contracts. This short clip gained interest in Greece and it was soon clear that it was essential for Greek people to get a better understanding of this example. The budget for making Debtocracy (approx 16 000 euros) was gathered via online donations and many professional people volunteered to help in making the film. So far the film has been viewed approx 2 million times but it has been completely ignored by the mainstream Greek media. It is clear that democracy cannot properly function in this kind of situation. The makers of Debtocracy are currently gathering donations for their next documentary Catastroika. 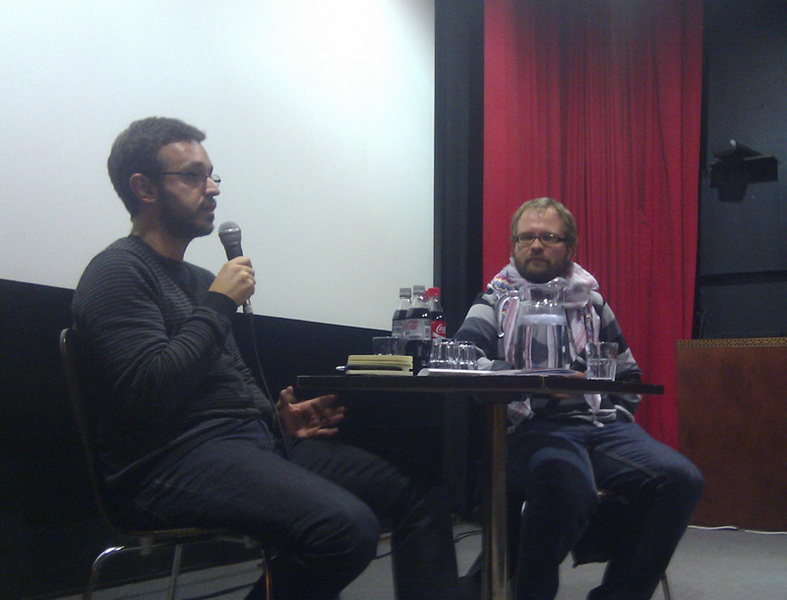 Debtocracy screening and discussion (featuring Aris Chatzistefanou and researcher Teppo Eskelinen) was organised by Pixelache, Lens Politica and HIAP.